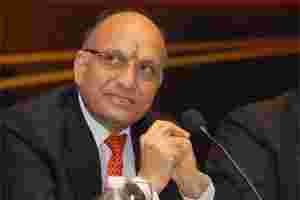 Ruia Group chairman Pawan Kumar Ruia. Photo: Indranil Bhoumik. Kolkata: Chartered accountant turned serial investor Pawan Kumar Ruia’s proposed acquisition of a Turkish automobile component maker is being reviewed. Ruia didn’t reveal how much he was to pay for the firm. Standard Profil, which posted €178 million (Rs 1,228 crore today) in revenue in 2010, was to be one of the Ruia Group’s biggest acquisitions in Europe. With production facilities in three countries, Standard Profil makes rubber sealing systems for car manufacturers such as Renault, Volkswagen, Audi, Fiat, General Motors and Ford Motor. In the past few years, Ruia has acquired at least five other automobile component firms in the UK, Germany and France. “Whatever has been invested (abroad) will remain invested," he said. Meanwhile, addressing the media after a board meeting of troubled tyre maker Dunlop India Ltd, Ruia said his group was to make a last-ditch effort to save the company’s Sahaganj factory in West Bengal. A consulting firm will be engaged to review the potential of the factory and to assess its manpower requirement. He, however, clarified that the company wasn’t immediately looking to lay off people. On Friday, Ruia wrote to the state government saying that a “partial lifting" of the suspension of operations at the Sahaganj factory announced on 7 October could be considered if the West Bengal State Electricity Distribution Co. Ltd restored power supply to the factory, according to the state’s labour minister Purnendu Bose. The state-owned power utility stopped supplying electricity to the factory in August because the company was unable to clear dues. “The future of Sahaganj’s workers remains unclear," said Bose, clarifying that the views were his own and not of the state government’s. “But there are some positive signals—the company has agreed to pay a festival ex gratia to all its workers in line with a 2006 agreement." Dunlop has at least 870 permanent workers at its Sahaganj factory. There has been no production at the factory for the past 10 months, according to Ruia.